10. 06. 2018 13:37 20 (1 - Ogier Sébastien / Ingrassia Julien): I tried everything I could today. I was always losing a few tenths here and there. The last stage was very rough and I made two mistakes which cost me a few tenths. It is still good points for the championship. We lost the battle but we haven't lost the war. There are still six rounds to go, it isn't time to panic. 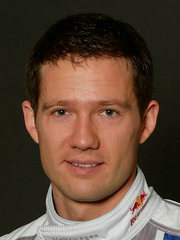 Thierry was lucky with the rain but there will be another rally where he loses time as the road opener. 10. 06. 2018 12:23 19 (1 - Ogier Sébastien / Ingrassia Julien): We just needed time to work on the car’s setup before the Power Stage. I haven’t heard about anything regarding the time card. 10. 06. 2018 11:37 18 (1 - Ogier Sébastien / Ingrassia Julien): It is tight. We will have to push to the end. This stage is all about fighting with the car, and for sure you can be a lot more aggressive. I will have to push on the next one. 10. 06. 2018 11:29 17 (1 - Ogier Sébastien / Ingrassia Julien): It is ok, it is very narrow so it is hard to push harder. 09. 06. 2018 18:22 16 (1 - Ogier Sébastien / Ingrassia Julien): It is tight. It was fun this afternoon. The second stage I didn't find a good rhythm. On this one I had to push. 09. 06. 2018 17:58 15 (1 - Ogier Sébastien / Ingrassia Julien): We have to push on the other one that's for sure. I wasn't saving tyres. 09. 06. 2018 16:43 14 (1 - Ogier Sébastien / Ingrassia Julien): It's a big push for me because I was so angry with the last stage on the morning and I stalled at the start of SS13 so a big push now. 09. 06. 2018 14:19 12 (1 - Ogier Sébastien / Ingrassia Julien): It is a good question, wrong rhythm probably. At the end of the stage I had a lot of oversteer. I'll have to push more this afternoon. 09. 06. 2018 14:14 11 (1 - Ogier Sébastien / Ingrassia Julien): Good run, good stage and a really nice condition to drive. It should be much more rough this afternoon. I don't know if I'll take six tyres tomorrow. 09. 06. 2018 13:59 10 (1 - Ogier Sébastien / Ingrassia Julien): Controlling at this point of the rally is a bit early. I was not quite sharp enough on this first stage of the morning. 08. 06. 2018 18:50 9 (1 - Ogier Sébastien / Ingrassia Julien): It's been a good afternoon, it wasn't easy with the conditions on the first stage with the fog and the slippiness. I was perhaps more in attack mode compared to this afternoon. 08. 06. 2018 18:29 8 (1 - Ogier Sébastien / Ingrassia Julien): So far it is a good loop, just had a issue with the shifting on this stage. Don't know what is causing it. 08. 06. 2018 15:48 6 (1 - Ogier Sébastien / Ingrassia Julien): No mistakes but it is not possible to push. It is slippery. I saw the line of Neuville, it looked like he hit a bank but no damage to his car it seems. 08. 06. 2018 12:02 5 (1 - Ogier Sébastien / Ingrassia Julien): I try what I can. The tyre choice was right, definitely. 08. 06. 2018 11:47 4 (1 - Ogier Sébastien / Ingrassia Julien): Quite a same time! I didn't understand on the last one why we were so slow so we need to figure that out. I don't know why my car is wetter and muddier than Neuville's, that's a good question! 08. 06. 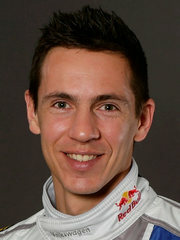 2018 11:38 3 (1 - Ogier Sébastien / Ingrassia Julien): Not a good split then? I expected also the road to be cleaning but at the end not really. 08. 06. 2018 11:26 2 (1 - Ogier Sébastien / Ingrassia Julien): Conditions are good to be in front. I didn't want to take too much risk on this one. 07. 06. 2018 19:59 1 (1 - Ogier Sébastien / Ingrassia Julien): I hope we'll keep it on the top, we had good speed but didn't have the consistency in Portugal so hopefully we'll get the consistency this weekend.